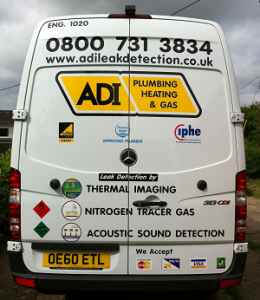 Using state-of-the-art leak detection equipment means we can provide you with a totally non-invasive leak investigation every single time. Our equipment can both see and hear through walls, floors and even compacted earth to find the source of your leak. Our engineers always work in the most efficient manner possible and this means that we can, in turn, offer you very competitive pricing for the standard of service we provide. 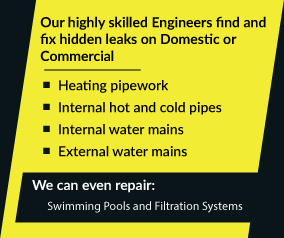 We also provide our leak detection expertise to customers living anywhere in the UK. Put your mind at ease and call ADI now on 08007313843 to find out more about how we can help you.